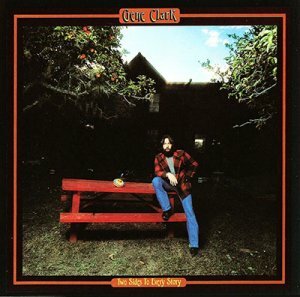 Gene Clark is best remembered a founding member of the Byrds, but for the bulk of his recording career he was a solo artist. On August 30th his long out-of-print disc Two Sides To Every Store is hitting shelves again with bonus material, previously unseen photos and new liner notes. The disc features contributions from guitarist Jeff “Skunk” Baxter and backing vocals by Emmylou Harris. Here’s an exclusive stream of “Kansas City Southern” from the album. Clark died in 1991, just one year after the original line-up of the Byrds reformed at the Rock and Roll Hall of Fame induction ceremony. Just two years later Byrds drummer Michael Clarke died, but David Crosby, Roger McGuinn and Chris Hillman are still alive and very active in music. Hillman and Crosby are extremely interested in a Byrds reunion, but McGuinn refuses to even consider it. Hey, reissue fans! (That means you!) It’s time to welcome a new label to the club. High Moon Records has just been established by owners George Wallace and J.D. Martignon and general manager Craig Hyman to specialize in the sounds of the 1960s and 1970s, and the label has selected two titles to kick things off in a big way. Both releases were celebrated with an April 29 release party at the Roxy on (where else?) the hallowed Sunset Strip: Love’s 1973 unreleased album Black Beauty, and Gene Clark’s 1977 Two Sides to Every Story. 1973’s Black Beauty was recorded by the only all-black lineup of Arthur Lee’s famed band Love, but thanks to the collapse of Lee’s Buffalo Records label, it never saw the light of day. Previously available only as a bootleg, High Moon’s first-ever official release of this lost classic will be released on vinyl, digital and CD, with rare bonus tracks, photographs and a new essay by historian Ben Edmonds. High Moon’s release is a most welcome addition to the legacy of the psychedelic rock pioneers still best-known for the 1967 Forever Changes. Former Byrd Gene Clark’s 1977 RSO album Two Sides to Every Story has been available on CD in the past, but currently commands upwards of $150 second-hand! It followed 1974’s No Other on the Asylum label. Though now considered by many to be the artist’s masterpiece, No Other was a commercial failure and a most unconventional record. Two Sides features more traditional songwriting and features Doug Dillard and Emmylou Harris among its guests. High Moon’s reissue will be released on vinyl and CD and adds bonus tracks, unseen photographs and new liner notes by John Einerson. 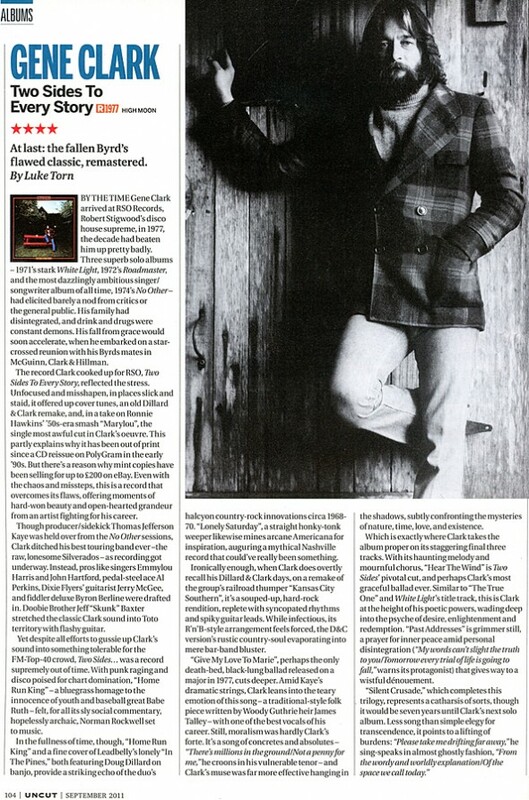 Clark’s son Kai regards Two Sides as “a personal diary during this trying time in [Clark’s] life” and now fans of the influential country-rock legend’s balladry can experience it themselves. The album is released in cooperation with Universal Music Group and Clark’s estate. When are these titles due for release? What’s in the pipeline from High Moon? Hit the jump for answers to those questions, plus core track listings and discographical information for both releases! While initially scheduled for June 7, both Black Beauty and Two Sides to Every Story have been delayed; according to label owner Wallace at the Roxy show, European rights issues and bonus tracks are currently being finalized. Watch this space for a update as soon as a new date can be confirmed.